Capability Maturity Model Integration (CMMI) is a process improvement approach that provides organizations with the essential elements of effective processes that ultimately improve their performance. 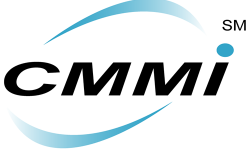 CMMI model is a process improvement maturity model for the development of products and services. It consists of best practices that address development and maintenance activities that cover the product lifecycle from conception through delivery and maintenance. Organization’s activities are explicitly linked to your business objectives. Visibility into the organization’s activities is increased to help you ensure that your product or service meets the customer’s expectations. The CMMI Appraisal is an examination of one or more processes by a trained team of professionals using an appraisal reference model as the basis for determining strengths and weaknesses of an organization. Appraisal Requirements for CMMI (ARC) contains the requirements for three classes of appraisal methods Class A, Class B, and Class C. These requirements are the rules for defining each class of appraisal method. Standard CMMI Appraisal Method for Process Improvement (SCAMPI) Method Description Document (MDD): currently the only approved Class A appraisal method. IQMS organizes CMMI awareness and internal auditor training course with an Interactive learning style along with real world examples and exercises that helps participants become familiar with using the CMMI model frame work as criteria for auditing, the importance of an audit program along with basic auditing principles. In this auditor training course, participants will learn the basics of CMMI model frame work as well as participants will know on how to use the best practices of CMMI model to improve the process of the organization, additionally how to meet business objective and goal of an organization. Participants will become familiar with using the CMMI model as criteria for auditing, the importance of an audit program, along with basic auditing principles. Most importantly, however, participants will learn the step by step methods of conducting an audit, implementation of process area of the CMMI model. CMMI for development, Version 1.2 (CMMI-DEV, V1.2) model is used to improve the product and service development process of an organization. Benchmarking is the process of comparing the business processes and performance metrics including cost, cycle time, productivity, or quality to another that is widely considered to be an industry standard benchmark or best practice. Essentially, benchmarking provides a snapshot of the performance of your business and helps you understand where you are in relation to a particular standard. IQMS helps organizations to execute an effective transition strategy by conducting a Gap Analysis, mapping ISO clauses to CMMI PA’s and Action Planning. The emphasis is on maximizing business value available from both approaches, while conforming to the requirements of the model. IQMS works with organizations to define the entire Quality Management System (QMS) for them using CMMI model and the industry best practices as the foundation. IQMS’s process document repository (including process definition, template/form, guideline and checklist) is made to implement the Quality management system in the oraganization accordance with CMMI’s best practices. Using these process documents an organization can easily implement the CMMI’s PAs and institutionalized their processes as well as make the continuous improvement within the organization. It is also helps to the organization make things people independent. IQMS works with organizations to pilot and institutionalize the processes of the organization by providing various services through consultant and spot checks to implement the processes. This involves working with various PA teams for planning the process improvement journey, trainings, piloting and monitoring the progress.